Available in many shapes and colors, razor holders are the perfect device for securely storing your razor when it’s not in use. Some holders fasten around your shaving cream bottle and others come with a suction to stick against your shower. For many shoppers, the most important part of a razor holder is that it’s durable and won’t break or snap. It’s crucial that these products are built tough to keep you from cutting yourself on your razor. When you shop for a device to hold your razor, keep in mind that retailers advertise many stands as “multi-purpose” and you can use them to hold both your toothbrush and shaving tool. Another reason to use a holder instead of laying your razors around is that it saves counter space and makes your bathroom look cleaner. While most people aren’t aware, keeping your razor off the countertop or shower surface reduces the risk of contamination. A clean razor means less skin irritation. There’s no reason to hunt down a razor holder in a big-box store, in fact, you can buy one online and read all the reviews that vouch for the product’s quality. To make picking out a holder easier for you, we’ve done research to find the highest-quality holders available online. If you’re looking for a cute and unique holder, iRomic has you covered. iRomic specializes in hanging devices – be it for toilet paper, towels, and so on. No matter the product, customers consistently leave positive reviews for everything sold under the iRomic brand. This product comes with four different holders carved with an emoji design. There is a design for sad, happy, pleased, and angry. You can use all four simultaneously or switch them out depending on your mood for the day. To spice up the variety, iRomic designed the hangers with four different colors – red, pink, black, and silver. For less than $10, you get four hangers for the price of one. Pair the razor holder with an iRomic toothbrush stand or towel rack and you’ll be good to go. There’s no doubt that this holder is built-to-last. Its exterior features a coating of refined aluminum that protects the material from getting scratched. If you accidentally scratch the holder with your razor, you won’t have to worry about damaging it. iRomic flaunts this product as multi-functional and suited for towels, robes, keys, and bath sponges. Don’t overload it, however, as the maximum weight capacity is 6lbs. You don’t need to be a handyman to install the holder, in fact, you just pull off the film that covers the back and sticks it on the wall. According to iRomic, the material sticks to wood, glass, ceramic, metal and more. On the downside, the device doesn’t stick to a bumpy or porous surface. Unlike other holders, you don’t have to glue or drill it to your wall (potentially causing damage). The holder makes it easy to grab your razor while you’re in the shower and you won’t cut yourself or step on the razor from setting it on the ground. Since the product can hold a variety of things at once, you’ll save space in your bathroom and have easy access to all your important items. These competitive-priced emoji razor hangers are certain to brighten up your day. Sold by Roos, this four-pack of razor holders is a good buy for anyone who wants a neutral-looking product without sacrificing quality. This pack boasts a 4.5-star rating and for just $10, it’s one of the best deals on Amazon in terms of price. Roos is a solid and trusted brand that sells a variety of household products on various e-commerce sites and in brick-n-mortar stores. Unlike the product sold by iRomic, this holder is designed specifically for razors or small plugs but is still suitable for a smaller towel. Since its smaller in shape and not intended for large towels, the weight capacity is 1kg (2.2lbs). 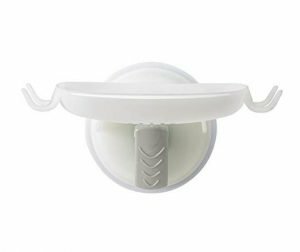 Instead of using a suction cup, the hanger fastens to the wall with its sticky material on the backside. With a brushed stainless steel finish, these razor holders give off a sleek and contemporary look. Even if the holder is exposed to water, it won’t rust with its steel exterior. The holder has a length of 5cm and width of 4.4cm, so you can easily use all four of them without taking up too much space. You can place the product on a variety of surfaces, including wood, steel, plastic, tile, and glass. Securing the holder to the surface is a breeze – just peel off the film on the back and hold it tight against the wall for ten seconds. According to Roos, it’s crucial to clean the surface before putting up the holder. Since the holder only weighs two ounces, the device holds itself in place and won’t slide down when you place your razor or towel on it. With a rating of 4.4 stars, this product is one of the highest-rated on Amazon and the reviews mention it has a strong adhesive and maintains its hold well. Other reviewers note that it works great in other parts of the house as well. This four-pack of razors by Roos will reduce clutter in your bathroom and securely hold your razors and towels. Not only is the product highly dependable, but it also has a sleek design that makes a nice touch to any bathroom. For less than $10 for a pack of four, you can’t go wrong with this product. Unlike the holders by Roos and iRomic, the OXO razor holder is made of silicone and designed to fit around a shaving cream bottle. For less than $10, you’ll get one holder that has a flexible hook to hold a variety of different razors. OXO is a New York-based manufacturer with over 800 products ranging from kitchen utensils to small household appliances. The company is known for creating high-quality and durable products. This razor holder is easy-to-clean and made of silicone. Since mildew is susceptible to mold in wet environments, OXO manufacturers the holder with a sealant to keep away mildew. 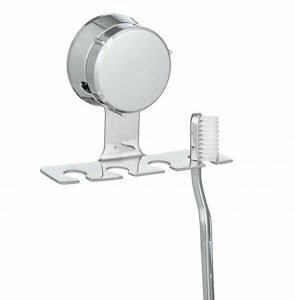 Instead of being out in the open or taking up space on your shower wall, you can slip this device around your shaving cream can and store it in your cabinet. The flexible silicone hook is suited to fit razors of all shapes and sizes. According to the reviews, the device even fits perfectly around large shaving cans like Barbasol. With a size of 2.7 x 2.1 x .05 inches and a weight of 0.32 ounces, this holder is very lightweight, and you don’t have to worry about it weighing down or knocking over your shaving cream bottle (provided that the bottle isn’t empty). It has a bright blue finish that is far from bland and will liven up your bathroom. If you aren’t fond of blue, there’s also the option to purchase this item in pink. The one small drawback about this product is that it doesn’t stick permanently to the wall, instead, you have to transfer it over to a new can every time you run out of cream. As some customers note, you have to be careful when you’re done with your shaving cream can and make sure you don’t throw away the holder with it! When you take a look at some of the customer reviews for this product, you’ll notice that most people are pleasantly surprised by its ability to save shower space and keep you from cutting yourself on your razor. 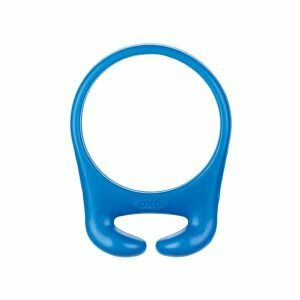 OXO consistently receives four and five-star reviews and for the price, this silicone suction razor holder is an excellent deal. Not quite sold on the top three razor holders? Here are seven runner-ups that are worth mentioning. While these products aren’t quite up to par with the top three, they are still good buys and well worth the price. 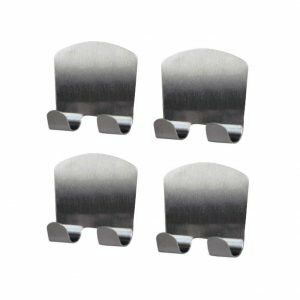 Sold by FORTYRIG direct, this package comes with four stainless steel razor holders that each hold up to 2.2lbs. FORTYRIG specializes in top-notch holders and tools that never fail to impress Amazon shoppers. To install the fixture, you just need to remove the protective film covering the adhesive. The holder has a decent design and weight limit, making it a top contender but not selling us enough to be in the top three. 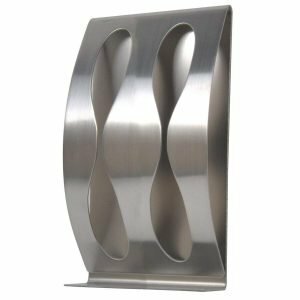 With a brushed nickel design and a contemporary finish, this razor stand will add a nice contemporary touch to your bathroom. The stand boasts a stainless-steel exterior and is both waterproof and durable. According to Agile-Shop, the product sticks well on the mirror, ceramic tile, glass, and multiple other surfaces. Did you know that there is a holder designed specifically for both soap and razors? You heard right, the Changing Lifestyles Safe-er-Grip Soap Dish with Razor Hooks holds two razors on the side and soap in the middle. It’s a breeze to install and has a suction on the back that sticks to the wall. This product is very unique and functional but lacks an appealing design. 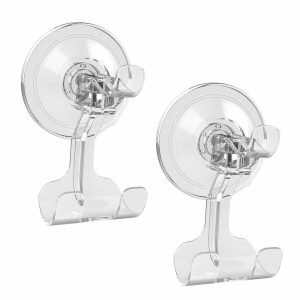 For less than $10, you can get two suction hook razor holders that can hold up to 6.6lbs each. With a translucent design, these holders won’t draw unwanted attention. The hooks are both oilproof and waterproof and if they get dirty, you can just soak them in water and they will be as good as new. There’s no doubt that this is a solid product, however, it’s not overly innovative. The HOME SO suction cup razor holder has four different indentations that fit both toothbrushes and razors. To install, you just have to place the circle on the mirror and turn the knob to get it to stick. HOME SO is confident that this product will please customers, so much that they offer a money back guarantee if you aren’t satisfied. While this product has good reviews overall, a handful of customers note that it doesn’t work well with razors that have bigger heads. If you’re looking for a reliable product that gets the job done, this product by Budget & Power is worth a look. For roughly $12, you’ll get a pack of four hooks that can carry a maximum load of 6.6lbs. Like HOME SO, Budget & Good also offers a warranty that guarantees customers satisfaction. These hooks do what they say, but the design isn’t anything special. The Command razor holder resembles a pencil holder that you stick on the wall. This product is priced at under $6 and is, therefore, one of the cheapest options on the list. 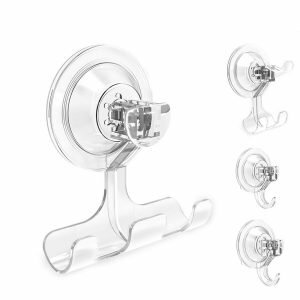 You can hold 3lbs of items in this holder without causing any damage to your wall. Many reviewers note that this product works well in multiple parts of their homes – the kitchen sink, shower, and so forth. Given the size of the holder itself, one would expect it to have a higher weight capacity. The key purpose of razor holders is to conveniently store your razor when you’re not using it, reducing the clutter in your bathroom. Not only do you free up space in your bathroom, but you also lower the chance of cutting yourself by stepping on a razor. While most people place razor holders in their shower, you can also put them on your shaving cream bottle, mirror, and various other surfaces including brick and metal walls. A major advantage to owning a razor holder is that they’re simple to use and set up. The typical holder has an adhesive strip on the back with a thin film covering it until you’re ready to take it off and place it on the wall. In addition to the adhesive, there are two prongs that curve upward to firmly hold the shaver in place. You can set up and use one of these products in a matter of seconds. Virtually anyone who shaves can benefit from owning a razor holder. Since more woman than men shave in the shower, women might want to consider buying a product that’s coated with a waterproof material. Men who use an electric shaver need something with a higher weight capacity as opposed to a 2lb holder. Most importantly, razor holders are great for someone who wants to declutter their house without spending a fortune. Since most products cost less than $10, buying one is within most people’s budget. Upon opening a brand-new razor holder, you’ll notice that the product itself is rather simple. Don’t doubt their functionality just because you don’t see a lot when you open the package – most razor holders mean business. These products work in a variety of different ways, depending on their design. The most common type has an adhesive backing with a protective film covering it. After opening the package, all you have to do is remove the film and firmly push the adhesive back against the wall for ten seconds. When it comes time to hang your razor or towel, you’ll place it between to upward facing prongs that latch onto it like a hand. The two other most common holders function by using a suction or by wrapping around an object. The downside to a suction is that only works on a handful of surfaces whereas an adhesive strip is universal. Since many razor holders have a universal design, you can use them to replace towel bars and storage cabinets that hold sponges and other bathroom accessories. Razor holders use up much less space than towel bars and you can use that extra space to hang up art or other decorations. If a razor holder doesn’t suit you, there’s a handful of other products that get the job done. There are a variety of different holders you can use to store your razor, including protective travel cases and countertop organizers. Another option is to stick your razor in the same container that you use to hold your toothbrush. These are the most important features you should consider when deciding what razor holder to purchase. Each of these features is important to make sure the device is both functional and aesthetically pleasing in your bathroom. One of the most important factors that play into selecting the right product is how much weight it can hold. For example, if you own an electric razor that boasts a heavy-duty battery, you should go with an ultra-sturdy holder with a high weight limit. If you only need something to store a disposable razor, then almost any holder will do. Don’t just go off the capacity that the manufacturer lists – read customer reviews to make sure the product actually holds the weight capacity advertised. The versatility of the product is a crucial component especially when you are buying a package of four. Unless you have a large family or a lot of roommates, what’s the chance that you’ll use all four of them to hang razors? More often than not, you’ll use them for towels, bath sponges, brushes, and even small pieces of clothing. There’s no reason to buy a large set if they are only designed to hold razors and you don’t use more than one razor at a time. If you have an eye for design or just want something that matches your bathroom, then you’ll need to find a holder that suits your style. The majority of razors have a metallic design, perfect for modern bathrooms that have granite and stainless-steel fixtures. While these metal holders give off a fancy vibe, some people would prefer the holder to blend in (especially if they just have a run-of-the-mill bathroom). In that case, the best option is to buy a transparent holder than will camouflage with the color of your shower or wall. Aside from the aesthetic component, the material is also key to how well the product will withstand time. To get the best bang for your buck, try to buy a holder designed with a metal that isn’t susceptible to rust or mildew. Since the hanger will constantly be exposed to humidity in the bathroom, the chance of it developing rust or mildew is high unless the product has a protective coating. While these components aren’t as important, they’re a nice extra touch, especially if you’re on the fence between two different holders. A handful of razor and toothbrush covers (combined into one) come with an anti-dust cover. Even though the sole purpose of these covers is for toothbrushes, it’s still always nice to keep dust and other particles off your razor head to avoid irritation. 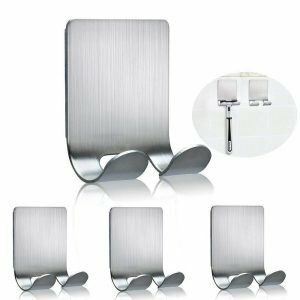 Though not as common as wall-mounted stands, base stands just sit on a flat surface and hold your razor in a standing position. These are the easiest holders to set up because no installation is required at all. Moreover, this design works well on-the-go because you never know if a hotel room will be suitable for a mounted stand. Like the iRomic razor holders, some products come with nifty designs that spruce up your bathroom. Common designs include emoji shapes, swirls, and animal-shaped holders. The best part about specially designed holders is that most of the time, you won’t end up paying more for them than a neutral razor holder. For less than $10, you can get a standard holder that supports up to 6lbs or a pack of four that hold around 2lbs each. This price range includes wall-mounted, suction, and free-standing holders. Despite the price, products in this category still are very durable and highly-rated all across the internet. If you shell out $10 or more, you can get a free-standing holder that holds multiple items or a small basket you can mount against your shower wall or hang over your showerhead. For just a little bit more money, you’ll get a whole lot more storage capacity. Hundreds of customers trust flock prefer these brands and retailers for their high-quality products at affordable prices. Based out of Southern California, Perfecto Shaving is a boutique manufacturer that sells a wide array of shaving products and accessories. The most popular product that Perfecto sells is their deluxe razor and brush stand. Not only do they sell stands, but they also sell shaving brushes and bowls as well. Thousands of positive reviews on Amazon prove that Perfecto sells durable and trusted products. Founded by American entrepreneur Sam Farber in 1990, OXO has a strong reputation for being a provider of reliable products. OXO specializes in many niches including storage products, office accessories, and household cleaning tools. In 2004, Helen of Troy Limited, one of the biggest marketers of housewares, purchased OXO. Today, OXO continues to receive great feedback from thousands of customers worldwide. Shaveway is a lesser-known manufacturer that you might as well call a “hidden gem.” You’ll find Shaveway products in both major stores (Wal-Mart, Target, etc.) and serval online retailers. According to their Amazon listings, Safeway helps turn your grooming into a “barber-like experience.” Most of their products have 4.5 stars or higher on Amazon, so it’s clear to say customers are quite pleased with their products. Did you know that the electric razor holder was originally designed and patented in 1946 by Long Margaret? A similar but more complex wall mountable razor holder was patented in 2006 by Sean Lukan. Sean Lukan is an inventor with the Eveready Battery Company, Inc., the manufacturer of the battery brands Eveready and Energizer. Lukan’s design has two arms that cradle the razor and a suction that attaches to the wall. One thing that sets this razor apart from the rest is that it holds the razor upside down keep the head of the razor from eroding from water build up. No matter where you buy your razor holder, there’s a good chance it was made in China. The two primary components of holders are silicon and steel. China produces 4.6 million tons of silicon each year. When it comes to steel, China produced 1.7 billion metric tons of steel in 2018 alone. Since China can source these raw materials cheaper than any other country, most manufacturers make razor holders in China, so they can sell their products at the lowest cost. The most important step before setting up a razor holder is to make sure the surface is thoroughly clean. Be extra careful not to touch the adhesive before sticking it to the surface – this can cause the holder to slide down. After cleaning the wall, you want to place the fixture on, you’ll need to let it fully dry before attaching the suction or adhesive to it. When you notice the holder starting to get dirty (limestone residue, soap, etc. ), you should remove it from the wall and soak it in hot water (140 F). Double check that it’s fully dry and then you can place it on the surface again. In some instances, your adhesive could fall off or break, leaving you with a holder that won’t stick. The holder isn’t totally useless quite yet. Most big-box retailers sell adhesive tape that you can connect to the back. Don’t try to drill it into the wall as this can cause extensive damage. Lastly, you should periodically look at the adhesive to make sure it’s sticking tightly. Checking the adhesive every so often will keep the holder from falling and injuring you. Once you get your hands on a razor holder, you won’t have to worry about cutting yourself or stepping on your razor again. Anyone who shaves will benefit from one of these products – both women and men. If you’re a man with an electric razor, it might be worth buying one with a higher weight capacity. 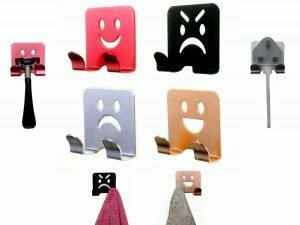 For an affordable and cute pack of four emoji razor holders, the iRomic Razor Holder for Shower has you covered. You’ll get four small-sized fixtures that you can use for towels and shower sponges as well. The ROOS safety razor holder has a similar capacity as the iRomic Razor but features a more neutral design for those who don’t want to draw attention. 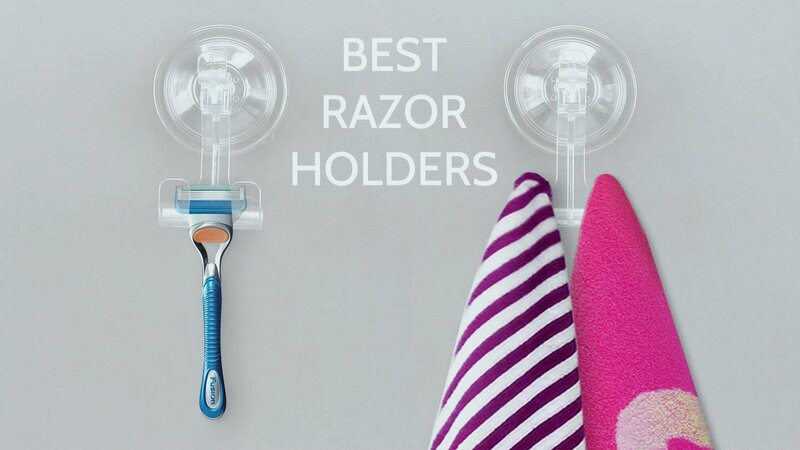 The OXO suction razor holder tops off the list of the best three razor holders. Instead of sticking to the wall through an adhesive layer, the OXO holder is made of silicone and fits tightly around your shaving cream bottle. With a vibrant blue finish, this product is far from boring. 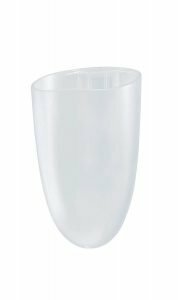 The material is resistant to mildew, so the holder will last longer than other products. Each of these three holders are durable, high-quality, and built to last.